A collection of articles on organisational culture from the Harvard Business Review. I need to examine them in more depth, but the diagram above and paragraph below jumped out at me. Whereas some cultures emphasize stability—prioritizing consistency, predictability, and maintenance of the status quo—others emphasize flexibility, adaptability, and receptiveness to change. Those that favor stability tend to follow rules, use control structures such as seniority-based staffing, reinforce hierarchy, and strive for efficiency. 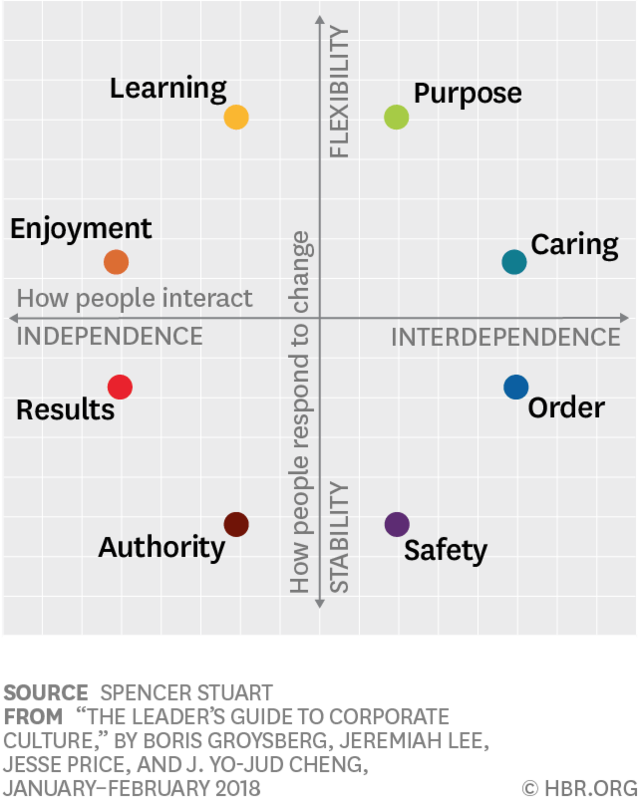 Those that favor flexibility tend to prioritize innovation, openness, diversity, and a longer-term orientation.